Now that you’ve established your business and stocked your online store, it’s time to open the floodgates and let the stampede commence. Unfortunately, the flood is often times a trickle and the stampede can seem like a slow stroll. To get that traffic really coming in and making purchases, you’ll need to go out and hunt down your customers. Everyone is online. If your customers are not at your website, then they are somewhere else. The key is to go there and bring them to your store. As an online business owner, you should know how to find your customers online. The trick is finding out where “there” is. Fortunately, there are several ways to do this. The following tips will help you put on your detective hat and go looking for your potential customers. Finding them is the hard part. Once you’ve figured that out, all you need to do is put your product in front of them. If it’s a good product at a good price, the person will become your customer. Google Alerts can track the entire web for specific terms related to your business and let you know as soon as something new emerges. The categories you can filter by are ‘News’, ‘Blogs’, ‘Video’, ‘Discussions’, or ‘Books’. You should be particularly interested in the blogs and discussions categories. For example, if your product is a birdhouse, then you might want to create an alert that searches ‘Discussions’ for the term “build or buy birdhouse”. This would alert you whenever someone on a forum, blog, or other website started a discussion about whether or not it is better to build or buy a birdhouse. You could join in on the discussion and explain why it’s better to buy one, and then they could visit your website to shop. This is just one example. 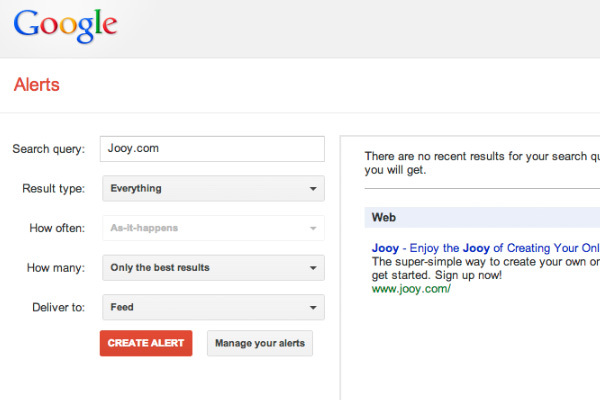 Let your imagination run free with your particular business and you’ll certainly find a way to utilize Google Alerts. Most social networks have a search button. You should search for ideas or products relevant to your niche. In the birdhouse example, you might want to look for members (your target customers) of a social group that enjoy watching birds. Also, you can look for a national brand or industry leader that is selling a similar product to yours. For example, if you think people who like products sold by “The Great Big National Skateboard Museum” would love your historic skateboarding retro t-shirts you are trying to sell, then visit their social networking page and start interacting. For the right price, you can literally drive as much customers to your website as you’d like. The key is to find that perfect balance to get the best return on your investment. Experiment on a small scale with many different avenues of advertising, and then scale up the ones that are profitable and stop the ones that are not. A few different avenues to start with are search engine advertising, social media advertising (using both ads and sponsored posts from your Facebook page for your business), and offline sources. Depending on your business, it’s possible you could find a great return on your investment driving traffic to your online store using offline advertising. While the Internet and social media dominate today’s advertising market, it has made the secondary markets of radio and television cheaper for the small business marketer. Reward your customers for referring their friends. It’s as simple as that. Have your customers refer their friends and say, “Dave sent me”. Then, give Dave a bonus for increasing your business. This may be in the form of a discount, free item, or even money. Many companies pay affiliate marketers a commission for every referral they earn. Just make sure it fits into your bottom line and you are still making a fair profit for yourself after your affiliate commissions are paid out. One of the best avenues to get your business blazing is to utilize the power of social media. Do promotions for your business where you give away your products in the form of a social contest. Set a duration that the contest will run, typically less than a week. Ask your contacts on your social pages to like your page and share your post about the contest in order to be entered to win the merchandise. When they do this, it shows up on all of their friends’ screens when they log in. Typically, friends have similar interests, and those friends will also enter your contest. 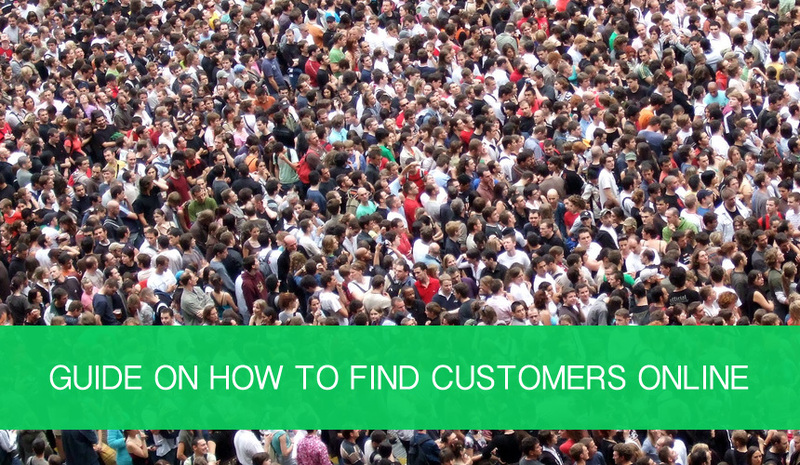 If you’re lucky, you just might go viral and end up with more customers than you expect. Be prepared for the increase in traffic. If you are self-hosting your store, make sure you have enough server space and memory to handle the increased traffic to your site that will happen over a short period of time. If you have your store with us at Jooy.com, don’t worry. We’ve already anticipated that you are going to grow and grow fast. Your store at Jooy is capable of handling all of the traffic that you can send it. THE JOOY BLOG - Copyright © 2019 ALL RIGHTS RESERVED.